I just checked the 'Find my iphone' app cause I couldn't find my ipad. There it is - the little dot showing it must still be sitting on my desk at work. Damn it! Now I'm going to be about 200 blog posts behind on Feedler tomorrow (and I wont even mention the stupid dragons I was wont be able to try breed tonight). Bugger. I will just have to play with polish instead. We've had lots of sunshine here lately, I can certainly feel summer on the way and soon the pool out back will be warm enough to swim in. 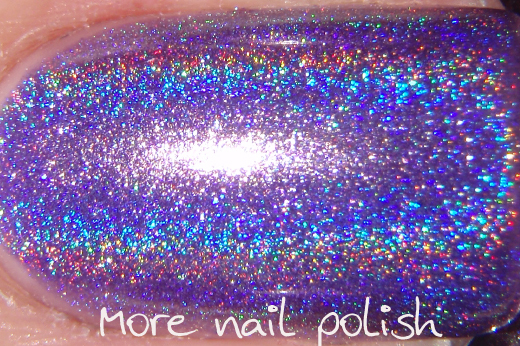 Sunshine = holographic polish, so I went through my significant pile of untrieds and selected this stunning holo. Jade Fasicinio Violeta. Bright squishy purple jelly holo. Completely different to the finish to the Layla holos, and so unbelievably easy to apply. No special base required and no issues using fast drying top coats. 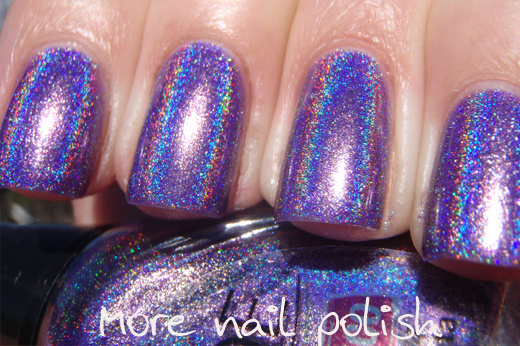 Those Brazilians really know how to make a holo polish. I still have several Jade polishes that were sent to me by the wonderful Rafa at Nails Ink. *waves* Now that the warmer weather in here, I know I will be wearing these Brazilian polish quite a bit. Which is your favourite Jade holo shade? it's so amazing ! i want the same! I just bought five of these and now I guess I'm going to be changing my polish tonight. I have this one and its going on first now! 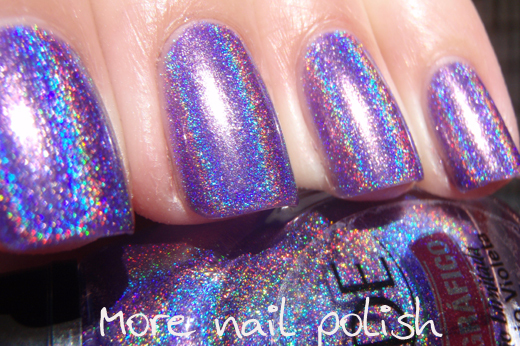 Wow, now that is a holo polish! Gorgeous! I love this and I so need to get going and put in an order for some Jade polishes - holos and others. 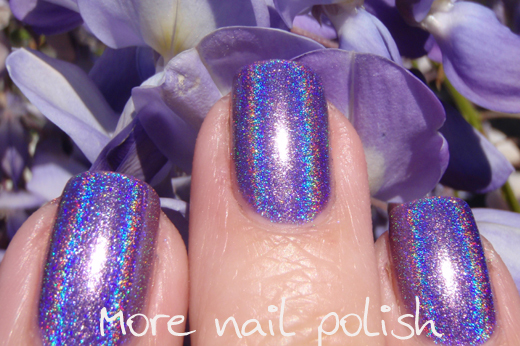 I love this super sweet holo! Looking forward to seeing more, enjoy the sunshine and I hope you aren't too far behind on the blog post front! Eep!